The THT assembly is carried out on a wave soldering machine. 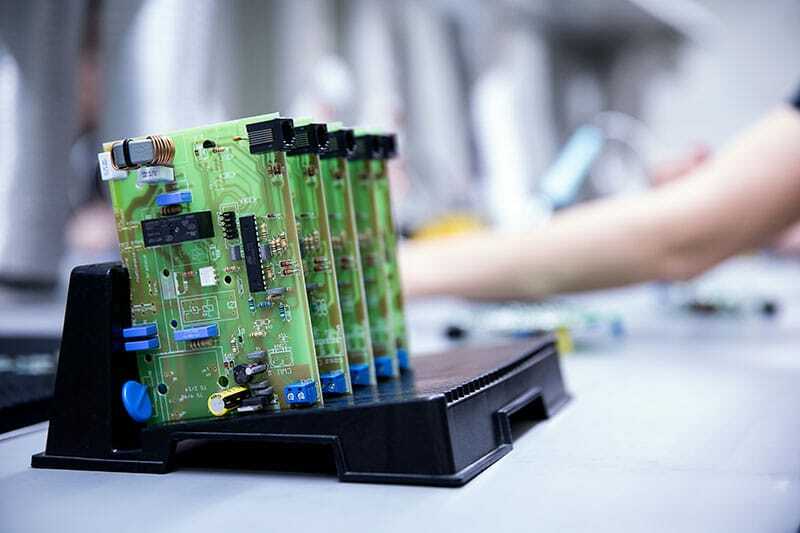 In the case of single printed circuit boards, at individual requests and in the case of technologically complex projects we perform a manual assembly. Thanks to a wide range of THT components crimping devices, we can automate most of operations related to the processing of components. We also take all possible efforts to make sure that assembled equipment is properly secured for transportation purposes. We use only professional solders, holding relevant attestations, when carrying out THT assemblies. Every through hole assembly is followed by a visual inspection of boards. At the Client request, we perform full functional tests that guarantee that 100% operational devices are delivered, which can be confirmed by our long- term Customers.